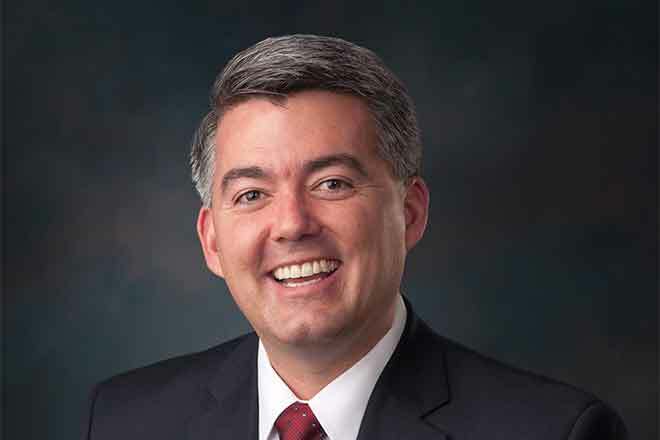 The Senate unanimously approved a bipartisan resolution introduced by Senators Cory Gardner (R-CO), Roger Wicker (R-MS), and Heidi Heitkamp, (D-ND) in support of 4-H and its recently-launched "Grow True Leaders" campaign. The measure, which is cosponsored by 34 senators, recognizes the immeasurable benefits of the national 4-H program for young people and its potential growth under the new initiative. "The program played an important role in my life when I was part of the Westerneers 4-H group in Yuma, Colorado, and today our daughter is a member of that very same club," said Gardner. "4-H is important to rural and urban communities across Colorado and the country, and I am proud to support an organization that showed me at a young age how important it is to be civically engaged." "4-H plays an important role in shaping the lives of young people in Mississippi and across the country," Wicker said. "Historically, the organization's nearly 6 million members typically hail from rural areas of America. I am impressed with the incredible strides that 4-H has made in our rural communities and encouraged that 4-H is expanding into the nation's urban centers and suburbs, significantly growing its outreach. I look forward to helping facilitate the growth of True Leaders, giving students a place to learn and exercise valuable leadership skills." "For over 100 years, 4-H has nurtured young leaders in rural America - and it had a huge impact on me growing up. Now, 4-H programs supporting civic engagement, science education, public speaking, and more are moving further into urban and suburban communities as well," Heitkamp said. "As a fellow 4-H'er, I know personally that these programs make a difference in students' lives, and I continue to hear about the opportunities 4-H provides for young North Dakotans around our state. With 4-H expanding, I'm proud to honor this national program for its work to grow the next generation of leaders in local communities across the country." The 4-H movement supports young people through programs designed to shape future leaders and innovators, particularly in rural communities. Last week, 4-H launched a campaign called "Grow True Leaders," which seeks to replicate 4-H's success in rural communities in urban areas. The program's new initiative hopes to reach a broader, more diverse population, impacting more African American and Hispanic children.